Want to help promote Vermont's growing technology sector? 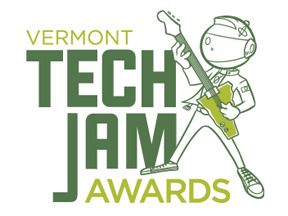 Nominate a company, individual or organization for a Vermont Tech Jam award. These highly coveted prizes, known informally among us Tech Jam organizers as "The Jammies," recognize a Vermont innovator — a company or individual with the year's most exciting new product, application of technology or way of doing business — and an "ambassador" who has helped to put Vermont on the map as a place for technology businesses to grow and thrive. The Vermont Technology Alliance organizes the competition, now in its second year. Winners are chosen by a panel of judges: Lawrence Miller, Secretary of Commerce & Economic Development; Dr. John Cohn, IBM Fellow and Chief Scientist of Design Automation at IBM; Matt Dunne, Head of Community Affairs for Google; and Paula Routly, Seven Days Publisher/Co-Editor. 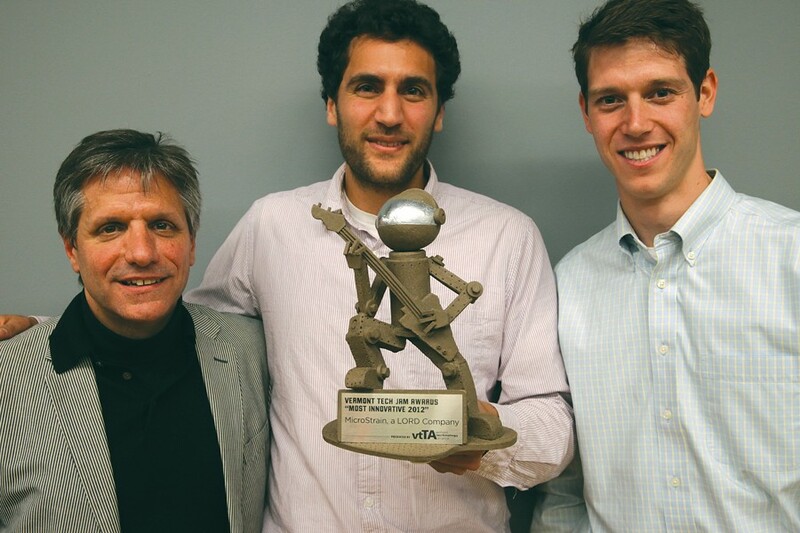 Microstrain, a LORD Company, walked away with the Innovation Award last year for its new wireless communications sensing system (pictured: left to right: MicroStrain founder and former CEO Steve Arms, electrical engineer Stephen Di Stasi and marketing director Todd Nordblum). Champlain College's Emergent Media Center won the Ambassador Award, which recognized its role as a leader in game development and new media. This year's Jammies will be presented at a reception on Friday, October 18, during the 7th annual Vermont Tech Jam. The deadline for nominations is Friday, September 20, at 5 p.m. Click here for the nomination forms. Click here for more information about this year's Tech Jam.